This post is in partnership with A Girls Guide to Cars. The Cars.com Best Luxury Car of 2019 is the Mercedes S Class. It is the only car on the list that wasn’t at the auto show but you can read all about it here. All I can say is that for $170,000 it should be REALLY nice! The Most Fun to Drive Car is the Mazda MX-5 Miata. Although I didn’t actually move the vehicle, I totally get this pick. While it’s a two seater and there is no room for a car seat, this could be the best date night car ever. And while it is so tiny, it’s surprisingly roomy inside. The telescoping steering wheel makes it comfortable even for tall drivers. Learn more about what got the Miata to the top of the list here. The Cars.com Best Pick Up Truck of the Year is the Ram 1500. I honestly never understood the appeal of a pick up truck - other than for job purposes - until checking out this car. It is roomy and nice! Those running boards at the bottom fold up automatically when you are driving the car. The Editor In Chief of Cars.com even went as far as to say that this vehicle would fit a rear facing car seat better than any other. Another cool feature is the RamBox on either side of the truck bed. A member of the Cars.com team said she used the RamBox for baseball supplies but also mentioned that there is a plug in the bottom and it can also be filled with ice and used as a cooler! How cool is that?! The Family Car of the Year is the Chrysler Pacifica. This isn’t the first year the Pacifica has made the Cars.com Best Of list. It has every feature a family could want from sliding doors to stow and go seating. Plus it doesn’t look that much like a mini van. And the Cars.com Best of 2019 is the Genesis G70. From Cars.com: The Best of 2019 award marks the 10th year Cars.com has named a top vehicle. 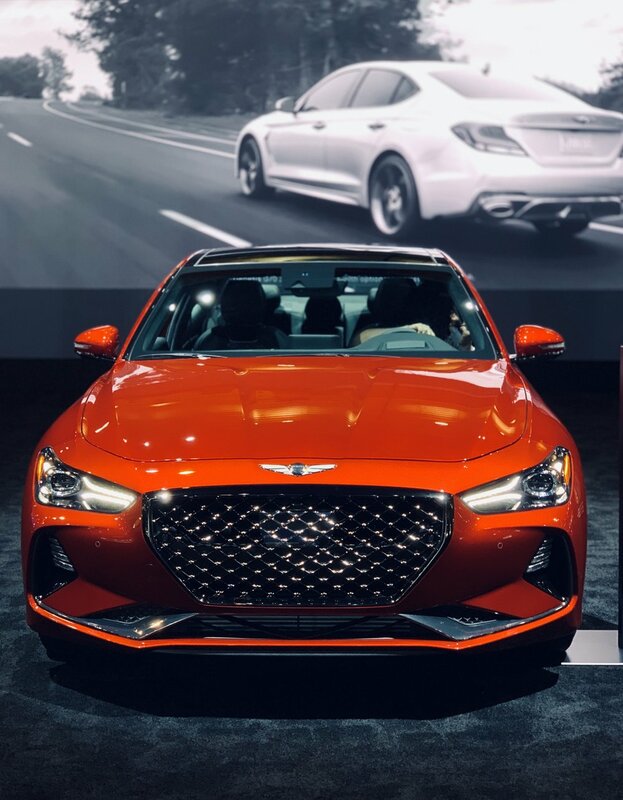 The accolade reflects quality, innovation and value, and it's no surprise that Hyundai's budding Genesis luxury brand has bookended the decade. Ten years ago, the original Hyundai Genesis — the Korean automaker's improbably excellent gambit at a value-priced, bona fide luxury sedan — was our first winner. Now comes the G70, the smallest and most affordable sedan yet from the car-turned-brand: Genesis. Materials quality and attention to detail rival comparable luxury cars, but price does not. For its mid-$30,000s starting price, the G70 bears a full complement of safety technology, premium amenities and multimedia conveniences. Until there are Genesis showrooms everywhere, you can currently purchase a Genesis at your local Huyndai dealership. There you have it, the Cars.com Best of 2019. Is your favorite car on the list? To go even deeper into the selection of bests, you can join us on February 20th for the Best Of Cars.com Twitter Party where we will be celebrating all of this year’s winners! Disclosure: This post is sponsored by A Girls Guide to Cars, all opinions are honest and my own.